The "Ultra Protect" basement window well covers are designed with "Safety" and "Security" for your home and family in mind. These versatile basement window well covers are manufactured using virtually indestructible clear polycarbonate sheet plastic riveted to a continuous structural grade aluminum angle rear support. These basement window well covers will support a minimum of 250 lbs when properly installed using our patented "SAF-T Lock" locking system that is purchased seperately (wind clips provided with this model). Installing these basement window well covers over your basement window wells (area walls) minimizes the risk of persons falling into deep, uncovered, unprotected basement window wells preventing possible serious injury. The model SR500-C semi-round basement window well cover is designed for use over semi-round window wells and its versatility makes it possible to be installed over steel, plastic, brick, wood tie and concrete basement window wells also known as "Area Walls". 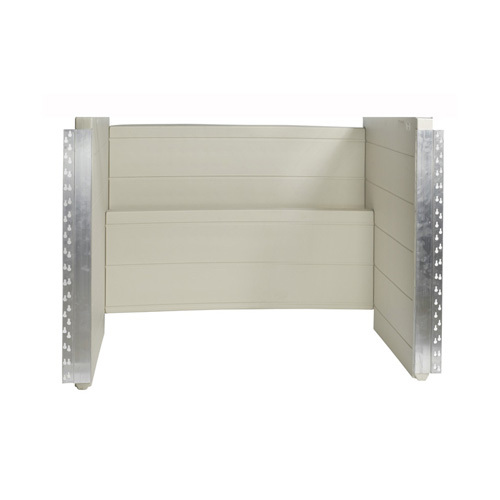 Once installed, this versatile window well cover can be trimmed to the profile of the window well using an ordinary jigsaw with an aluminum cutting blade (8 to 12 teeth per inch blade for best results) to make for a perfect fit window well cover. A patented, solid steel locking system with pull pin release quickly unlocks the basement window well cover (without the use of a tool, required by code) from inside the basement window well allowing for a quick exit from the basement level of the home in the case of emergency. The "Ultra Protect" basement window well covers are designed with "Safety" and "Security" for your home and family in mind. 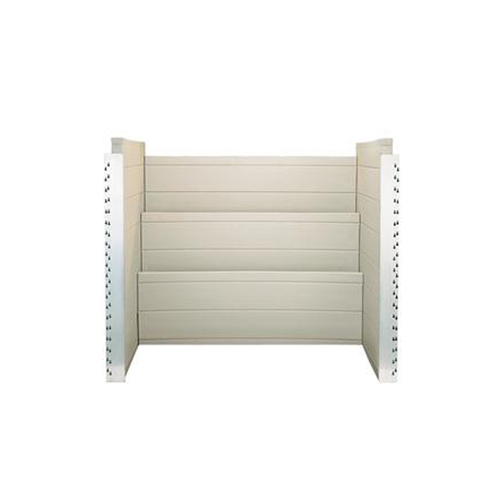 These versatile basement window well covers are manufactured using virtually indestructible pebble finish polycarbonate plastic riveted to a continuous structural grade aluminum angle rear support. These basement window well covers will support a minimum of 250 lbs when properly installed using our patented SAF-T Locking System (purchased separately) Wind clips provided. 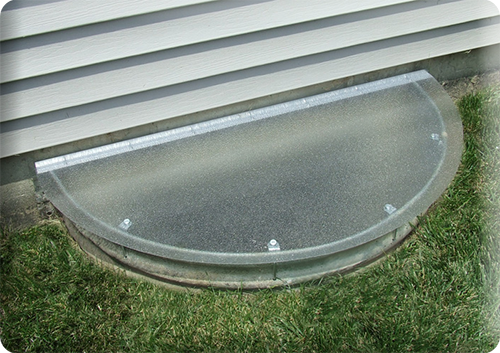 Installing these basement window well covers over your basement window wells (area walls) minimizes the risk of persons falling into deep, uncovered, unprotected basement window wells, preventing possible injury. 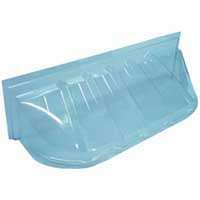 The model RT550 (45" x 26") basement window well cover is designed for use over Rectangular shaped basement window wells. 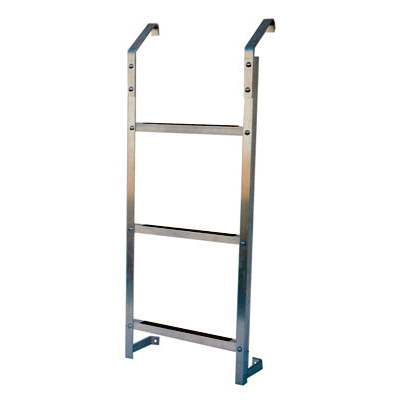 Its versatility makes it possible to be installed and trimmed to the profile of any type (steel, plastic, brick, wood tie, concrete etc...) basement window wells also known as "Area Walls". 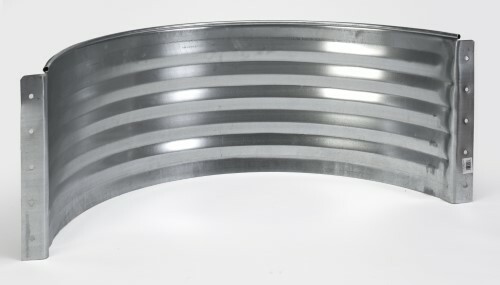 Once installed, this versatile window well cover can be trimmed to the profile (plus up to a 1" overhang around the perimeter) of the window well openings using an ordinary jigsaw with an aluminum cutting blade (10 to 14 teeth per inch blade for best results)to make for a perfect fit window well cover. A patented, solid steel locking system with pull pin release quickly unlocks the basement window well covers (without the use of a tool, required by code) from inside the basement window well allowing for a quick exit from the basement level of the home in the case of emergency. The "Ultra Protect" Basement Window Well Covers are designed with "Safety" and "Security" for your home and family in mind. 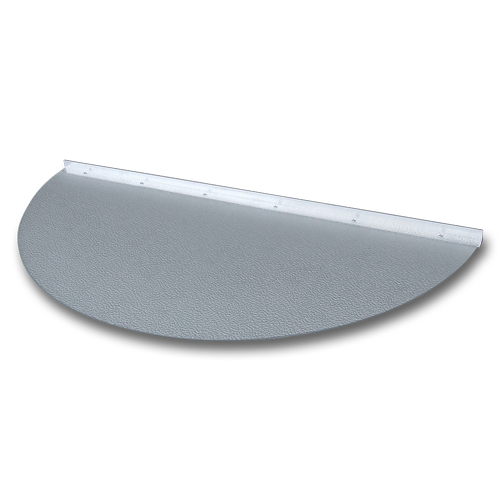 These basement window well covers are manufactured using virtually indestructible clear pebble finish polycarbonate sheet plastic riveted to a continuous structural grade aluminum angle rear support. 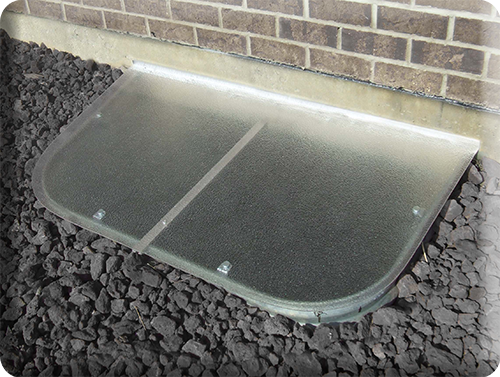 These basement window well covers will support a minimum of 250 lbs when properly installed using our patented (SAF-T Lock� locking system that is purchased seperately (wind clips included with this model) . Installing these basement window well covers over your open basement window wells minimizes the risk of persons falling into deep, uncovered, unprotected basement window wells preventing possible serious injury. 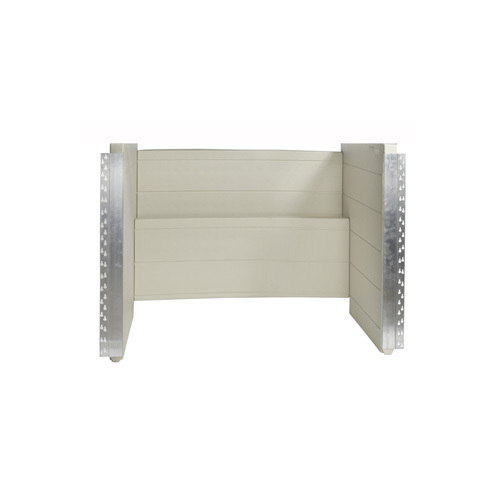 The Model SR400-P basement window well cover is designed for use over semi-round window wells and its versatility makes it possible to be installed over steel, plastic, brick, wood tie and concrete basement window wells also known as "Area Walls". 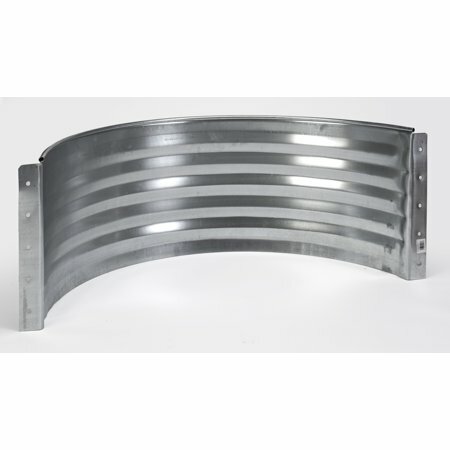 Once installed, this versatile window well cover can be trimmed to the profile of any window well using an ordinary jigsaw with an aluminum cutting blade (8 to 12 teeth per inch blade for best results) to make for a perfect fit window well cover. Our patented, solid steel locking system with pull pin release, quickly unlocks the basement window well covers (without the use of a tool, required by code) from inside the basement window well allowing for a quick exit from the basement level of the home in the case of emergency. The "Ultra Protect" basement window well covers are designed with "Safety" and "Security" for your home and family in mind. Our basement window well covers are manufactured using virtually indestructible clear UV polycarbonate sheet plastic riveted to a continuous structural grade aluminum angle rear support. These basement window well covers will support a minimum of 250 lbs when properly installed using our patented "SAF-T Lock" locking system (wind clips included, saf t lock purchased separately) Installing these basement window well covers over your open basement window wells minimizes the risk of persons falling into deep, uncovered, unprotected basement window wells, preventing possible serious injury. 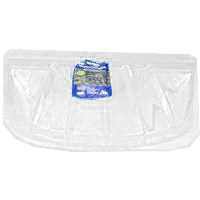 The model RT550 (45" x 26") basement window well cover is designed for use over Rectangular shaped basement window wells. 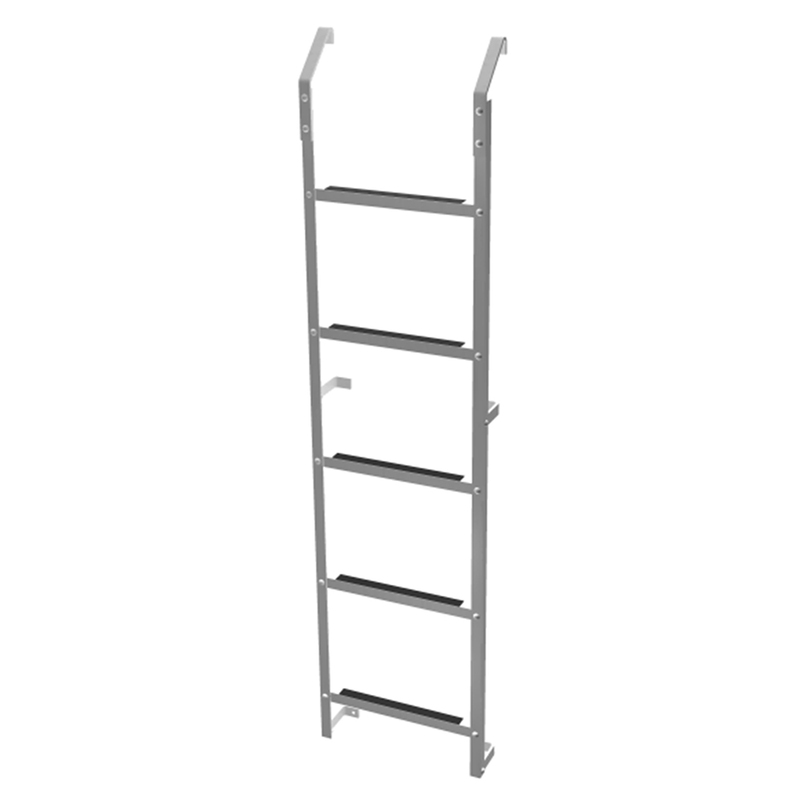 Its versatility makes it possible to be installed and trimmed to the profile of any type (steel, plastic, brick, wood tie, concrete etc...) basement window wells also known as "Area Walls". 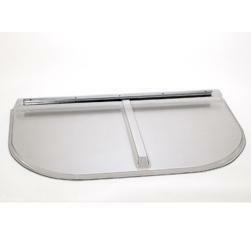 Once installed, this versatile window well cover can be trimmed to the profile (plus up to a 1" overhang around the perimeter) of the window well openings using an ordinary jigsaw with an aluminum cutting blade (10 to 14 teeth per inch blade for best results)to make for a perfect fit window well cover. A patented, solid steel locking system with pull pin release quickly unlocks the basement window well covers (without the use of a tool, required by code) from inside the basement window well allowing for a quick exit from the basement level of the home in the case of emergency. The "Ultra Protect" basement window well covers are designed with "Safety" and "Security" for your home and family in mind. 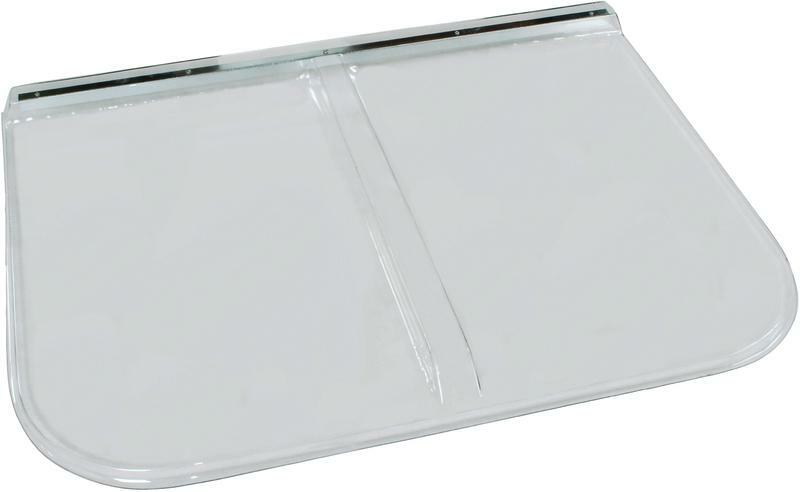 These versatile basement window well covers are manufactured using virtually indestructible clear polycarbonate sheet plastic riveted to a continuous structural grade aluminum angle rear support. These basement window well covers will support a minimum of 250 lbs when properly installed using our patented "SAF-T Lock" locking system that is purchased seperately with each window well cover. (wind clips included with this model) Installing these basement window well covers over your basement window wells (area walls) minimizes the risk of persons falling into deep, uncovered, unprotected basement window wells preventing possible serious injury. The model SR400-C semi-round basement window well cover is designed for use over semi-round window wells and its versatility makes it possible to be installed over steel, plastic, brick, wood tie and concrete basement window wells also known as "Area Walls". 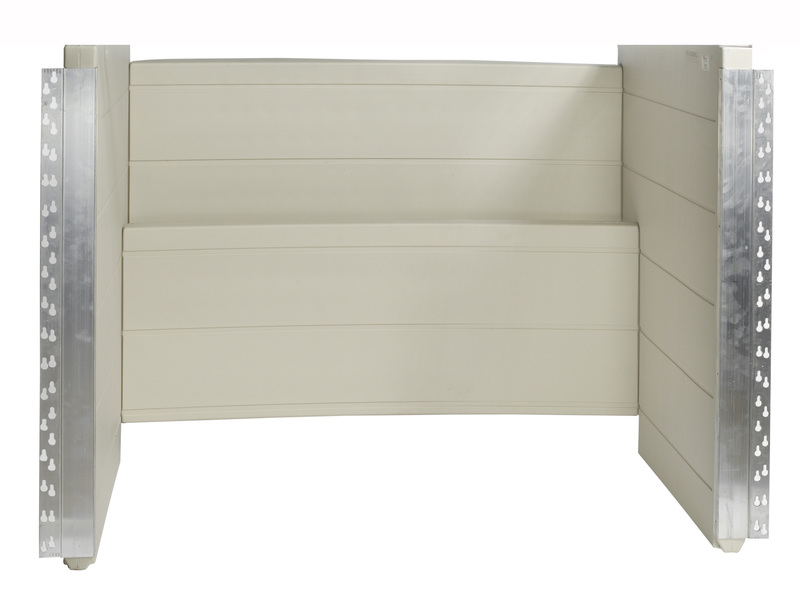 Once installed, this versatile window well cover can be trimmed to the profile of the window well using an ordinary jigsaw with an aluminum cutting blade (8 to 12 teeth per inch blade for best results) to make for a perfect fit window well cover. A patented, solid steel locking system with pull pin release quickly unlocks the basement window well cover (without the use of a tool, required by code) from inside the basement window well allowing for a quick exit from the basement level of the home in the case of emergency. 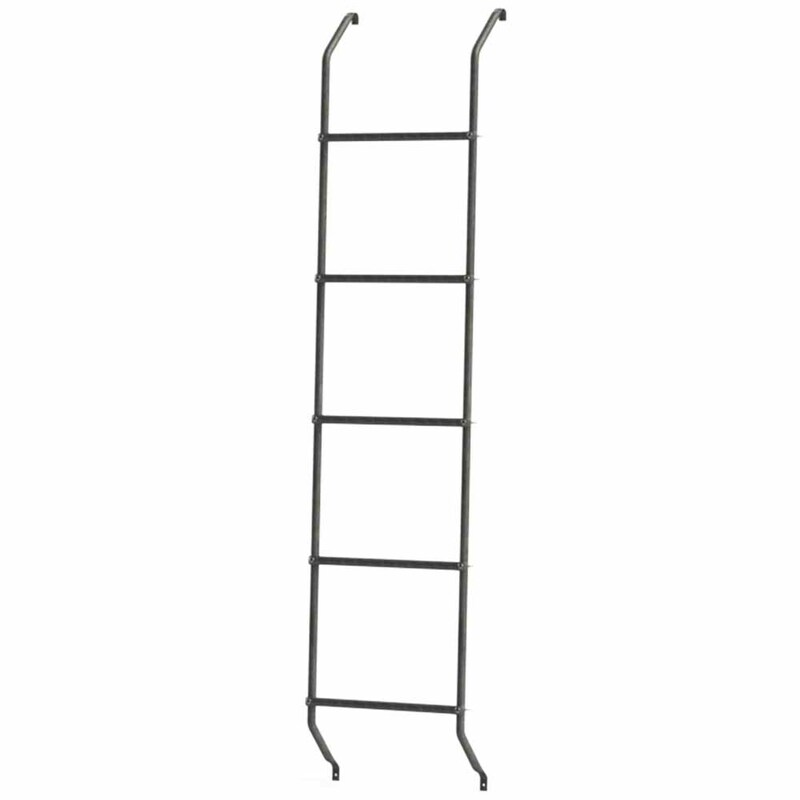 � Professional Grade 5-Step Galvanized Steel Egress Escape Ladder for use in Basement Window Wells 66� to 78� inches in depth. � Installs quickly and securely to typical Corrugated Steel Basement Window Wells using only two self tapping screws. � Typical for Corrugated Metal Wells but will mount inside all types of basement window wells (metal, concrete, plastic, block, timber etc?) 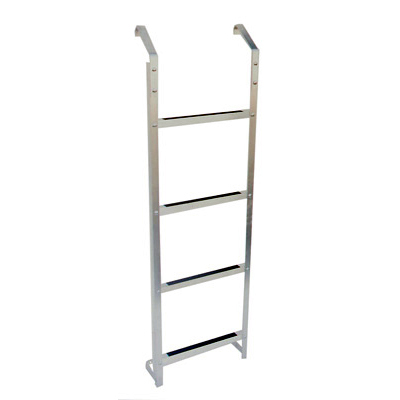 with the use of alternative mounting hardware(not included). 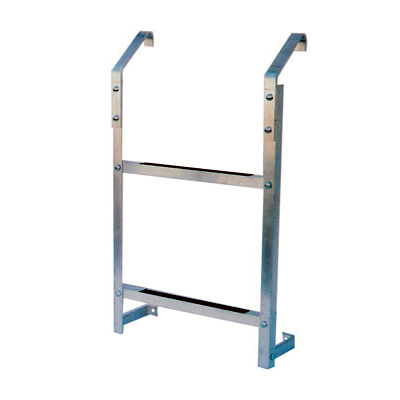 � Mounts to concrete foundation walls to aid in climbing into basement windows with over a 44� sill height as required by IFC & IBC code (must use alternative wedge anchor mounting hardware).